The term ‘minimalist’ (first coined to describe the art of Russian Constructivism) is one that has now entered common parlance as meaning austere, functional and bare. As a label for an art movement however, it was a description that was never accepted by any of the artists most closely associated with it. 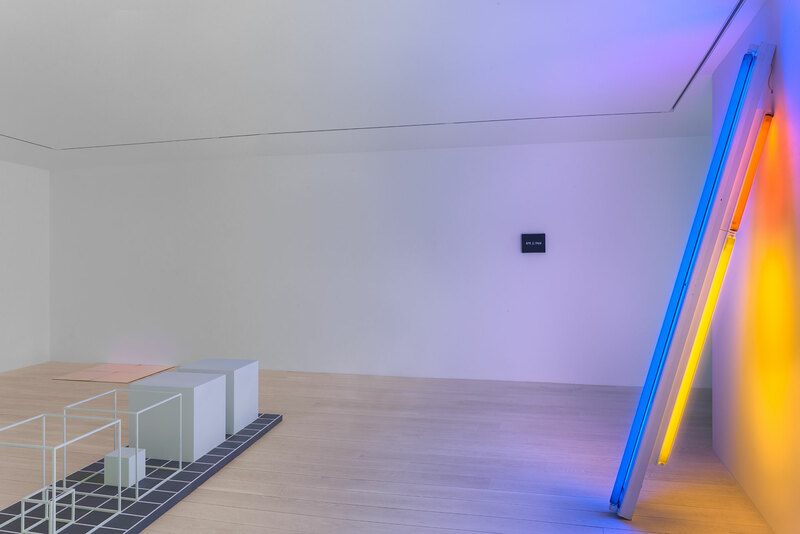 The six works in this exhibition are all early examples of art created in the late 1960s and early 1970s by Carl Andre, Dan Flavin, Sol LeWitt, and On Kawara. These young, American artists, often associated with minimalism and what later became known as conceptualism, all lived, worked, and exhibited (often together) at this time in New York. The mid-1960s in New York was a time when the elaborate and color-filled canvases of Abstract Expressionist painting and Pop art were the dominant creative tendencies in the city. The work of this younger generation of artists was deliberately intended to lead in a completely different direction. 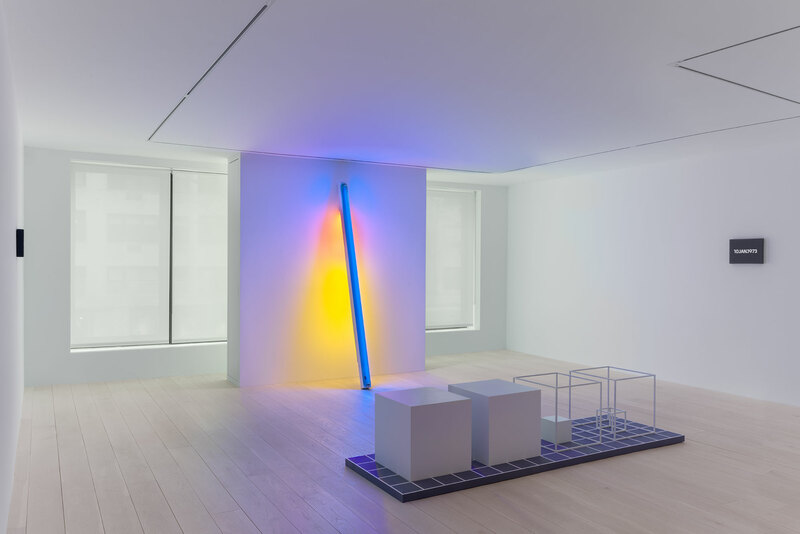 Inaugurated by Sol LeWitt’s ‘structures,’ Dan Flavin’s radically simple and transformative light installations, and the writings and ‘specific objects’ that Donald Judd had begun to make, these artists embraced such things as simple structures, monochrome abstraction, elementary geometry, and the straight line as part of a wholly new and incisive language of pure form. Operating independently from one another, each of the four artists represented in this show developed their own unique way of working – what Sol LeWitt was to call a ‘grammar.’ And this simplistic (or minimalist) ‘grammar,’ once established, was to remain largely unchanged in their work throughout their careers. Carl Andre’s work is also a sculpture of placement. 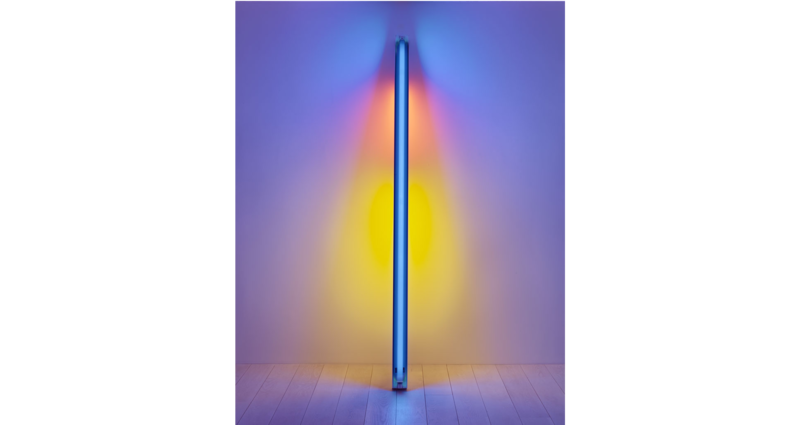 The only one of these artists to actually refer to his work as ‘sculpture,’ Andre’s work, like Flavin’s, was a conscious articulation of the space wherein it is situated. Evolving out of a conventional carving tradition in sculpture, Andre transformed his approach and decided that ‘rather than cut into the material,’ he would subsequently ‘use the material as the cut in space.’ In the same way that Andre’s sculptures can be seen as material incisions in space, On Kawara’s Date Paintings are painterly incisions in time. Consisting of a sequential series of painted dates accompanied by a newspaper clipping from the same day, such works as 10 Jan 73 are austere, temporal stepping-stones that simultaneously measure out the life of the artist and of the viewer.